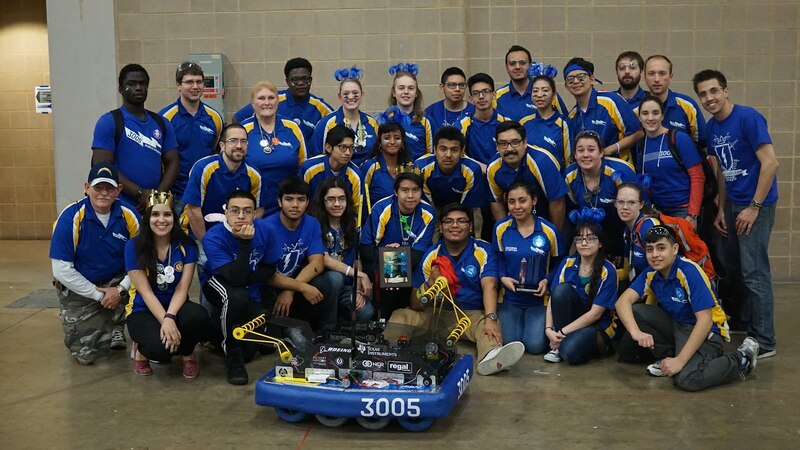 I barely have words to describe the team’s excitement after the Alamo Regional this past weekend… so I’ll use a picture. All of the hard work for this season, the late nights, the strategy deliberations, pushing to build two robots… all worth it. We achieved our season goal of finally qualifying for champs as the 2nd Alliance Captain and Regional Finalist, receiving a wildcard bid and our first FRC hardware since 2010! We felt the game design uniquely rewarded teams such as ours, by providing an avenue to seed well by heavily rewarding robust drivetrains with experienced drivers. We had earlier predicted our average qualifications score to be in the 70-80 range, and that it would be sufficient to guarantee a breach in every match (1 RP) and wins in 80%+ of matches. Our predictions were correct, as we finished 2nd of 66 teams, with an average quals score of 83, and a 7-1 WL record, losing only to 148/2158/3735 in a single qual match.